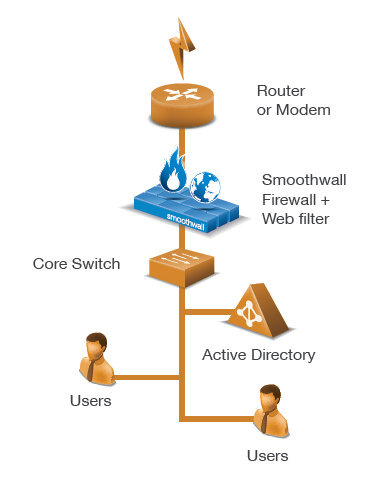 This section describes how to install the appliance as a firewall. Typically, this is used in a Unified Threat Management installation. 2. Connect an ethernet cable from your network switch to port 1 of the appliance. 3. Connect an ethernet cable from a port on the appliance to an external network, or internet-connected router or firewall. 4. Using the AC power cord, connect the appliance to the power supply.